The Substance Abuse and Mental Health Services Administration (SAMHSA) regulates opioid treatment programs (OTPs) and promulgates 42 CFR Part 2, the confidentiality rule protecting patient records. When state prescription drug monitoring programs (PDMPs) came along—and they now exist in every state except Missouri—SAMHSA was put in the position of trying to determine where OTPs fell: should they report their patient data to the PDMPs? In 2011, a “Dear Colleague” letter from the director of the Center for Substance Abuse Treatment (CSAT) at SAMHSA made it clear: Staff should utilize PDMPs “to maximize safety of patient care,” but not use them to provide information about their patients. Because of 42 CFR Part 2, the federal confidentiality law, OTPs may not provide information to the PDMP, according to the letter from H. Westley Clark, MD, then CSAT director. (For the Dear Colleague letter, go to http://atforum.com/documents/dearColl-pmp2011.pdf). A SAMHSA spokesperson told AT Forum that nothing has changed, and referred us to the 2015 accreditation guideline. But something has changed—42 CFR Part 2 is undergoing a rulemaking, and although so far SAMHSA has not indicated any plans to severely alter the patient consent aspect of the rule, law enforcement officials are pressuring them to do so. The American Association for the Treatment of Opioid Dependence is very concerned. In a letter to Secretary Burwell dated July 7 of this year, AATOD president Mark Parrino, MPA, summarized some fast-moving policy initiatives. He noted that on April 11, the National Association of Attorneys General wrote Secretary Burwell urging a change in 42 CFR Part 2, mandating that OTPs add patient material to PDMPs. He also commented that on May 17, a letter from the National Alliance for Medication Assisted Recovery (NAMA Recovery), an advocacy group representing patients maintained on methadone and buprenorphine, urged HHS to protect the confidentiality of OTP patients—also out of concern about the National Association of Attorneys General. “The patient advocates have good reason for their concern,” wrote Mr. Parrino. Some patients have reported for take-homes on Fridays or Saturdays and been followed by police cars that had been parked in front of the clinic, he wrote in the letter to Secretary Burwell. The police stop the patients and question them, asking to examine the patient’s medication. “It has an intimidating effect,” he wrote. Many PDMPs share information with law enforcement agencies, and some, such as Oklahoma’s program, are actually housed in law enforcement, said Mr. Parrino. Law enforcement officials are even interested in comparing outstanding warrants with patient information from OTPs, he added. Mr. Parrino quoted from Dr. Clark’s “Dear Colleague letter” as well. He added, “Dr. Clark understood that the integrity and privacy of patient care would be compromised” if OTP patient data were added to the PDMP. Mr. Parrino recommended that all OTPs and all DATA 2000 practices (office-based buprenorphine prescribers) be required to access the PDMP database before accepting a patient, and again throughout the patient’s care. AATOD has made this recommendation to SAMHSA before. 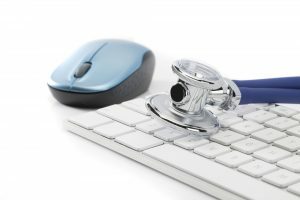 The PDMP and the electronic health record are two major changes in the 2015 accreditation guideline, compared to 2007. The other three are non-physician prescribers, telemedicine, and benzodiazepine misuse. It’s easy to see how electronic health records, benzodiazepines, and the PDMP quickly became important points for OTPs. As the Dear Colleague letter noted, combining opioids and benzodiazepines can result in a fatal overdose. 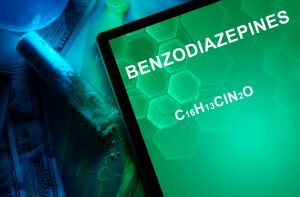 The letter cited a case study in which an OTP medical director found that 23 percent of the patients were prescribed significant amounts of benzodiazepines, opioids, and other controlled substances, unknown to clinic staff and revealed only by a search of the PDMP database. But the problem of patients misusing substances is one that calls for OTPs to check with the PDMP, not for OTPs to input their patient data into the PDMP. The reason for the “Dear Colleague” letter urging against inputting patient data, due to 42 CFR Part 2, was stigma, said Edward J. Higgins, executive director of JSAS Healthcare. “It was Wes’ position, and unfortunately the situation is still the same—patients would be stigmatized,” he said. At JSAS, the state’s PDMP is used at the point of intake, but not to exclude patients who are getting prescribed benzodiazepines. If patients are getting benzodiazepines from a practitioner, JSAS gives them 30 days to talk with the prescriber about it, so that the OTP can communicate with them. In addition, every time a new take-home is earned, JSAS checks with the PDMP again, to see what else may be prescribed for the patient. But JSAS would not input information about its patients into the PDMP. This confidentiality is one of the greatest appeals of an OTP for a patient—and why many patients would rather get their buprenorphine dispensed by an OTP than by a pharmacy. “Anybody who’s filling a prescription and not dispensing, that should go to the PDMP,” said Mr. Higgins. “It’s not even a question of choice.” JSAS will be dispensing buprenorphine take-homes as well—the combination product, with naloxone. Again, this would not have to be reported to the PDMP. Also, it’s not only benzodiazepines that OTPs need to be worried about. Some patients may have a prescription for buprenorphine-naloxone listed with the PDMP. If they have the combination buprenorphine product in their system, induction with methadone would be contraindicated, as it wouldn’t be effective. And finally, Dr. Clark himself told AT Forum that “requiring OTPs to check with PDMPs is sufficient.” He added that it’s “inappropriate” for law enforcement to use PDMPs to track methadone patients. “We should keep in mind that it is the AGs who are requesting this change,” he said. It is 42 CFR Part 2 that prohibits the use of treatment records for criminal justice sanctions, said Dr. Clark. The Attorneys General would like to bypass those rules, but so far, can’t. And that’s to the benefit of OTP patients and OTPs. The 2015 SAMHSA accreditation guidelines note the importance of querying the PDMP.